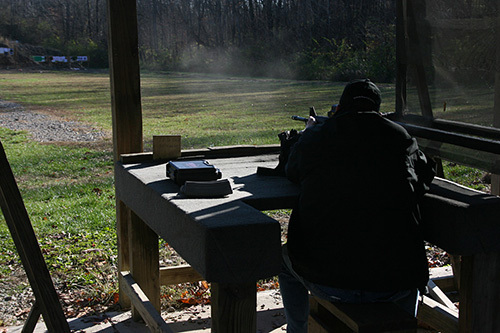 Our members make use of an ample shooting range that can be used by both rifle and pistol enthusiasts. Complete with shooting tables, benches and a variety of distances (7 to 200 yards), we are confident you can get the practice in to reach whatever your specific goals may be. 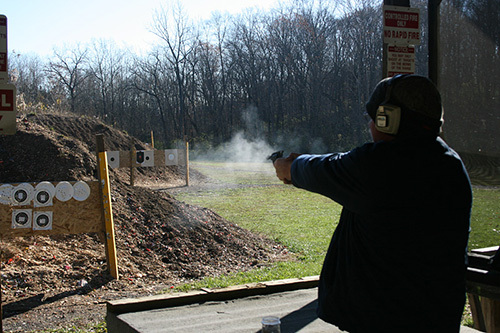 Our club does hold pistol matches on the third Saturday of each month – with the exception of November, due to Thanksgiving. That match is always held on the second Saturday of the month. Shooting matches are open to anyone and the cost for entry is $5.00 per firearm.